Golden Treasures Annie Get Your Gun - "Annie"
Annie is a very sweet, spunky girl who loves to please. 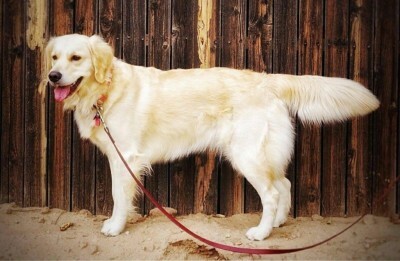 She is a home grown puppy from Shiloh and Jack's final litter. 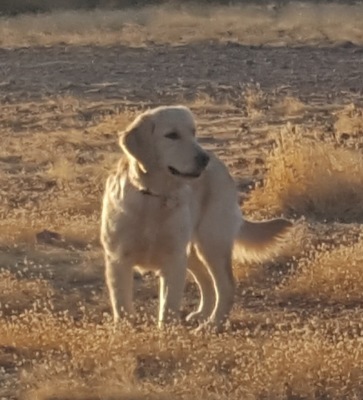 We are hoping to add her to our breeding program in 2019 if she passes all of her health screens. 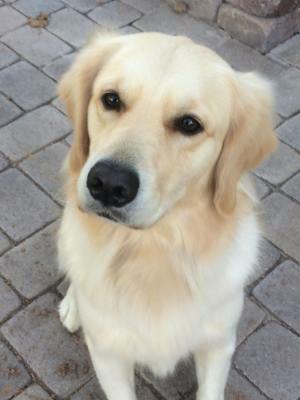 Lexi is our beautiful and sweet girl from Copper State Golden Retrievers. 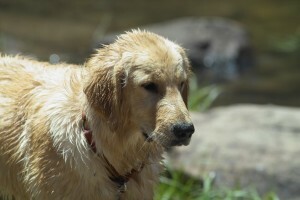 She is a very happy dog who loves to swim, camp, go hiking and run beside the horses. She is a wonderful mother and produces gorgeous puppies! Zoey is our lovely home grown girl from Lexi and Logan’s 2013 litter. 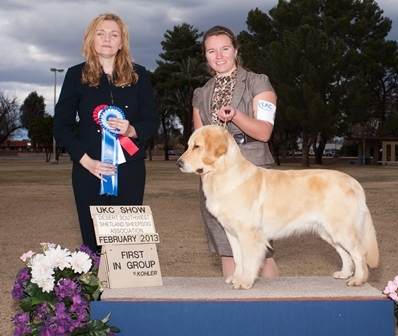 She is a happy, spunky, super sweet dog and has done well in the show ring with Jayme. We are thrilled with the puppies she has produced and look forward to more soon! 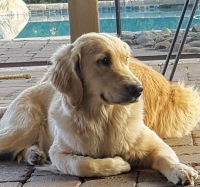 Golden Treasure's Tess - "Tessa"
Tessa is a beautiful and loving girl from Lexi and Logan's 2014 litter. 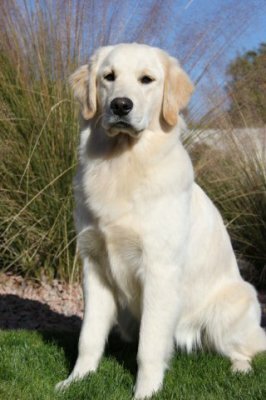 She is co-owned by the Clare family and lives at their beautiful home in Queen Creek, AZ. Tessa is a great mother and produces beautiful puppies! Missy is a wonderful family dog who loves attention. She has an awesome personality and always wants to please. Missy loves to play, but she also knows when it is time to be calm in the house. 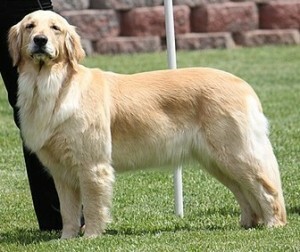 She has been shown by Jayme at 4H shows in showmanship, obedience, agility, and rally-o classes. 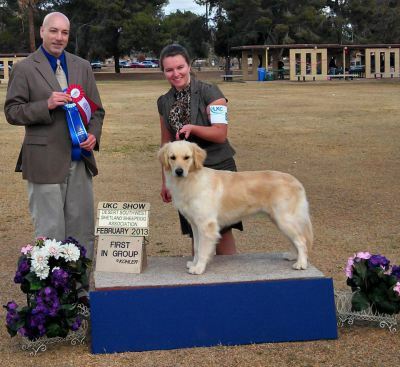 She passed the AKC Canine Good Citizen Test on February 2, 2008 and is a registered therapy dog with Therapy Dogs International. Missy provided us with three gorgeous litters totaling 33 puppies. She was an excellent mother and every one of her puppies was born healthy – she never lost a single one. Shiloh is a gorgeous girl with a lot of personality. 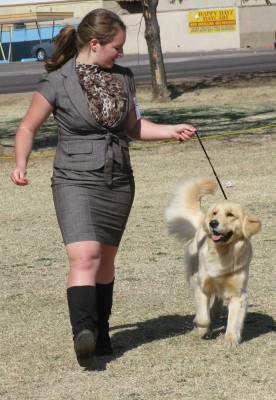 She loves to meet people and has done awesome in the show ring with Jayme. Shiloh is our first “home grown” puppy from Missy & Logan’s 2011 litter. 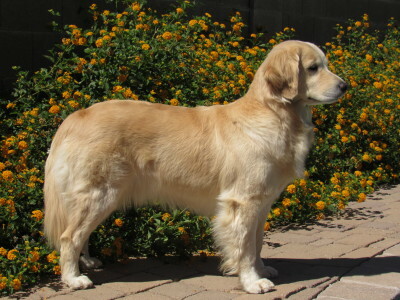 She produced 34 beautiful puppies including our, Golden Treasure's Annie Get your Gun!